"New York Times" bestselling author Joy Fielding delivers a riveting tale of suspense about a young woman caught in a nightmare somewhere between life and death. Beautiful, happily married, and the owner of a successful interior design business, Casey Marshall couldn't be more content with her life, until a car slams into her at almost fifty miles an hour, breaking nearly every bone in her body and plunging her into a coma. Lying in her hospital bed, Casey realizes that although she is unable to see or communicate, she can hear everything. She quickly discovers that her friends aren't necessarily the people she thought them to be -- and that her accident might not have been an accident at all. As she struggles to break free from her living death, she begins to wonder if what lies ahead could be even worse. "It is Fielding's ability to get under the skin of her characters -- and her readers -- that has made her such a dependably bestselling author," says the "Calgary Herald." 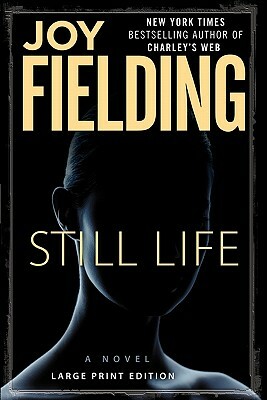 Smart, suspenseful, and overwhelmingly addictive, "Still Life" is a novel her fans won't soon forget.